The other day I had been to a coffee shop. I was thinking what to order from the menu and I saw an interesting drink. 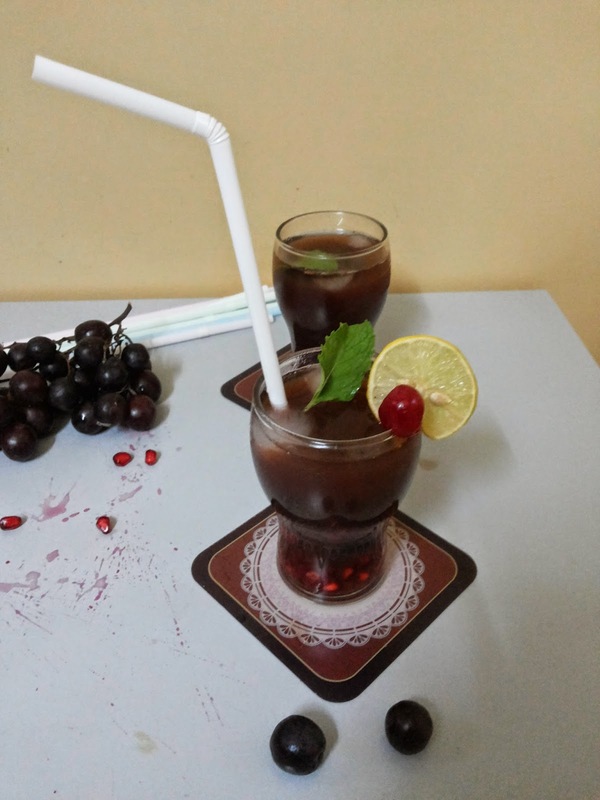 Black Magic made with cold black coffee and black grapes juice. I ordered it and liked it a lot so made it at home. 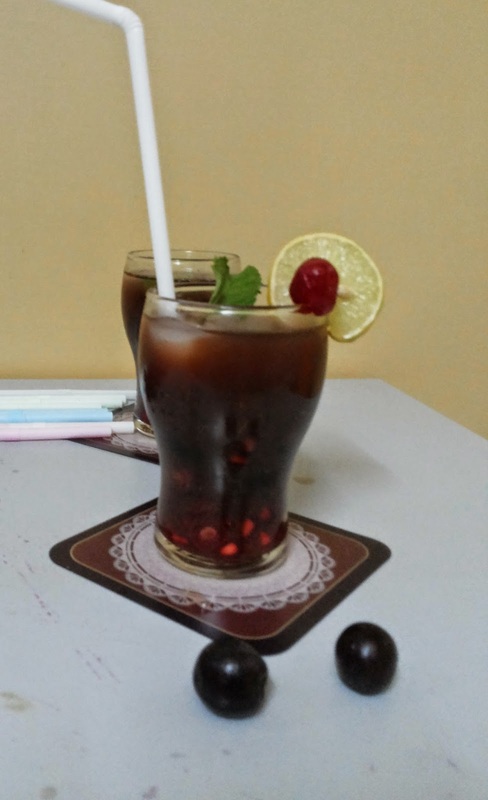 This drink is a black beauty and delicious to drink. Its a drink for coffee lovers. 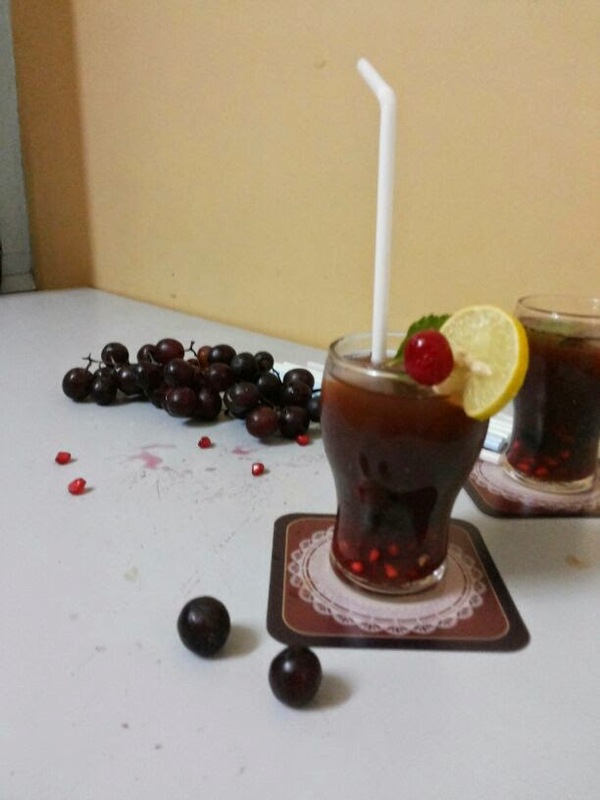 The blending of coffee and grapes juice gives a great twist to a simple grape juice. Black grapes and black coffee both have their individual benefits. But they should be consumed in right proportions. Because nothing in excess is good. So lets proceed step by step. Black Magic is very easy to make and require very few ingredients. 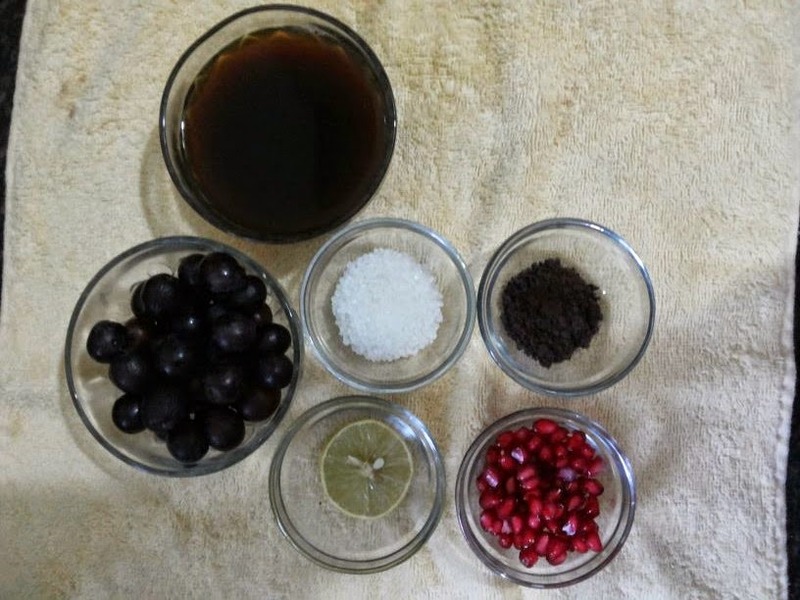 They are black grapes, coffee powder, sugar, salt, lemon juice and pomegranate seeds & cherry (optional). Wash and rinse the grapes thoroughly. 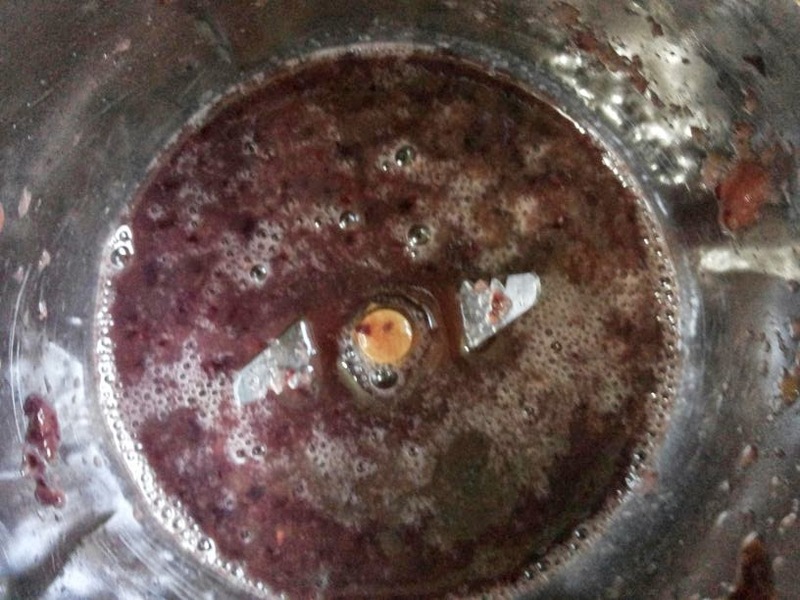 In a juicer add black grapes, salt, sugar and lemon juice and whizz it. Strain the juice and keep aside. In a vessel pour water and add coffee powder and bring it to boil. Strain & cool the coffee and keep aside. For making Black Magic combine the black grapes juice and cool coffee. 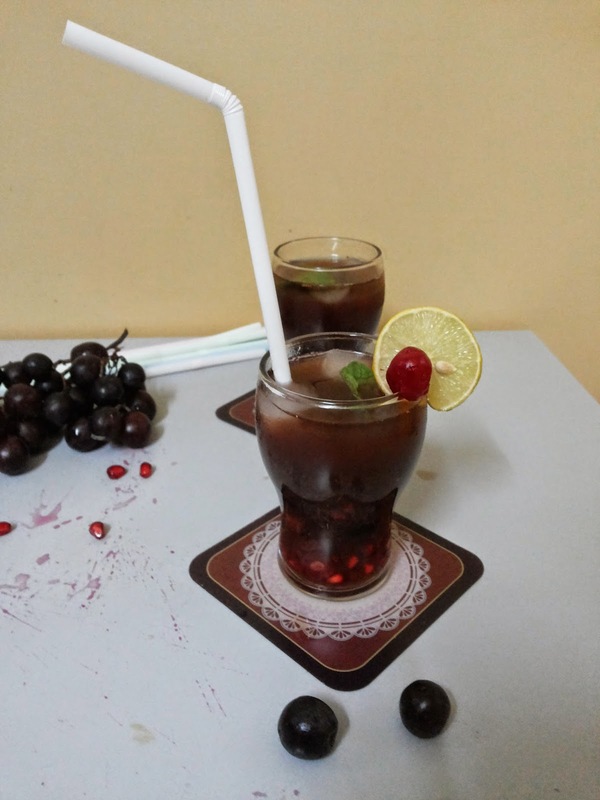 For serving the drink add black grapes, pomegranate seeds and some ice cubes in a chilled glass. Now pour the juice and garnish with lemon wedge and cherry. Black magic is ready. Wash and rinse the grapes thoroughly. 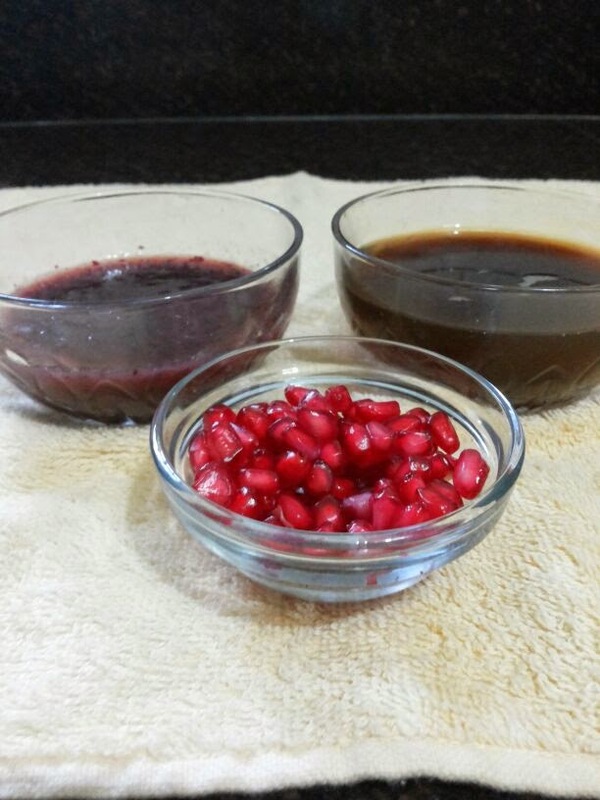 In a juicer add black grapes, salt, sugar and lemon juice and whizz it. Strain the juice and keep aside. In a vessel pour water and add coffee powder and bring it to boil. Strain the coffee & cool it and keep aside. Now combine the black grapes juice and cold coffee. 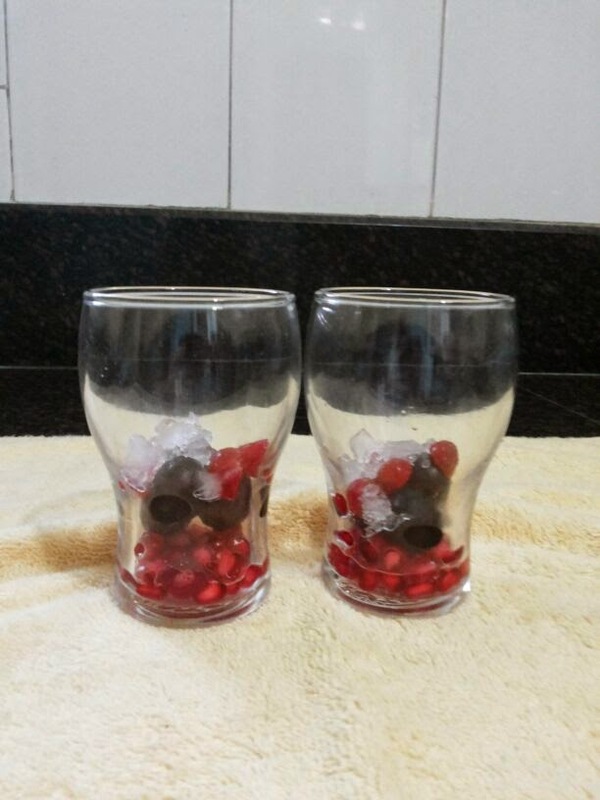 For serving the drink add black grapes, pomegranate seeds and some ice cubes in a chilled glass.